Read the rest of "Migrating from the deprecated /invoices endpoint to the new stable endpoint". 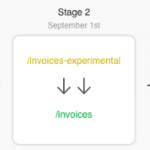 Read the rest of "New functionality in /invoices in REST". Read the rest of "Changes to developer agreements". Read the rest of "We have revamped our App Grant Access page". Read the rest of "Case and examples for optimizing your API usage". Read the rest of "New ways to fetch lines on sales documents through SOAP". Read the rest of "New ways to fetch Product Prices through SOAP". Read the rest of "New token names for the API token authentication model". Read the rest of "New deadline for X-EconomicAppIdentifier HTTP header". Read the rest of "New feature – MileageEntry_ApproveEntries in SOAP API".